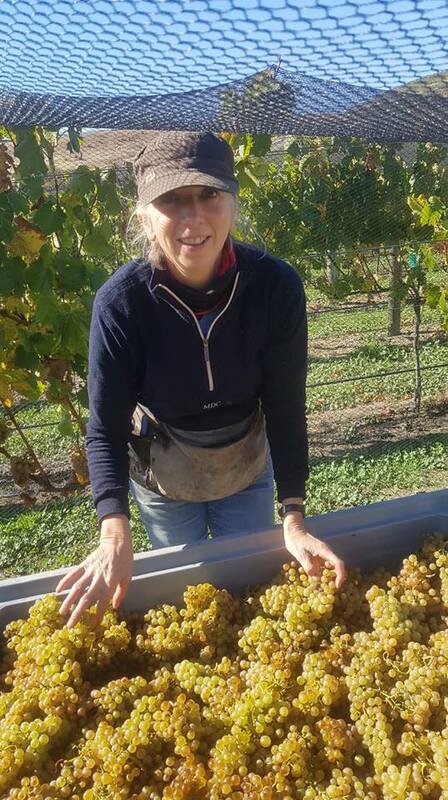 This week we finished the harvest on Defiance Vineyard our vineyard on Felton Road ..... here Leisha is picking the clone 5 of the Pinot Noir for our Rosé, one of our most popular wines, the 2019 vintage of this will be released in September so you Rosé lovers watch out for this so that you will not be disappointed!! 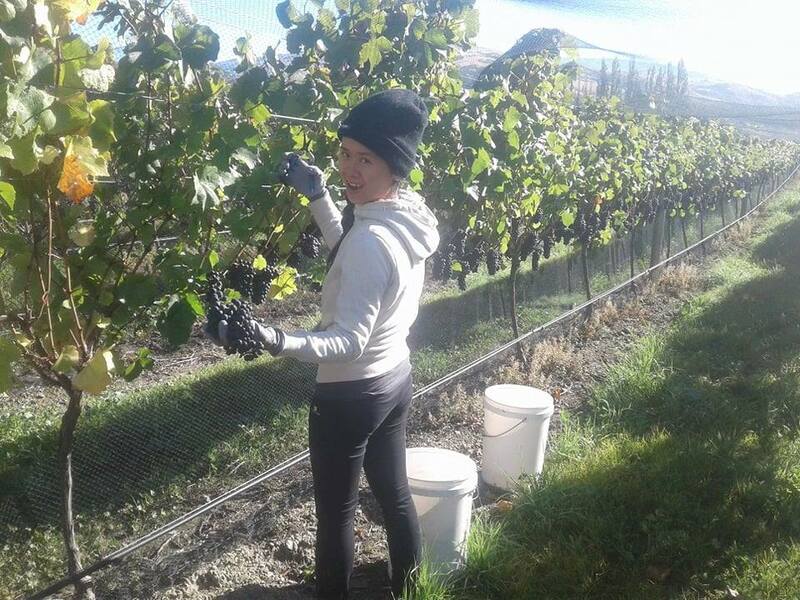 Despite the cold morning Leisha looks as though she is enjoying the picking! 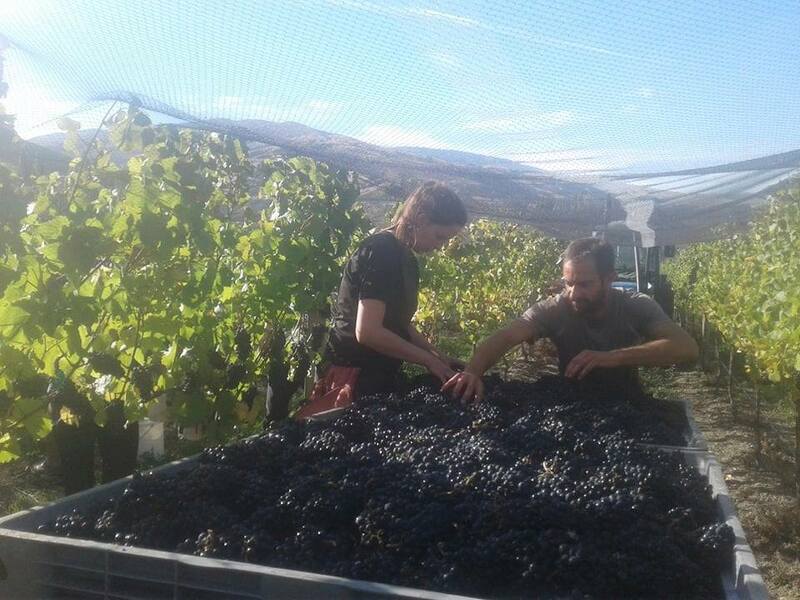 Orlane and Sebastien checking the bins to ensure that we are sending only top class fruit into the winery, this is clone 115 of the Pinot Noir also destined for the Rosé. 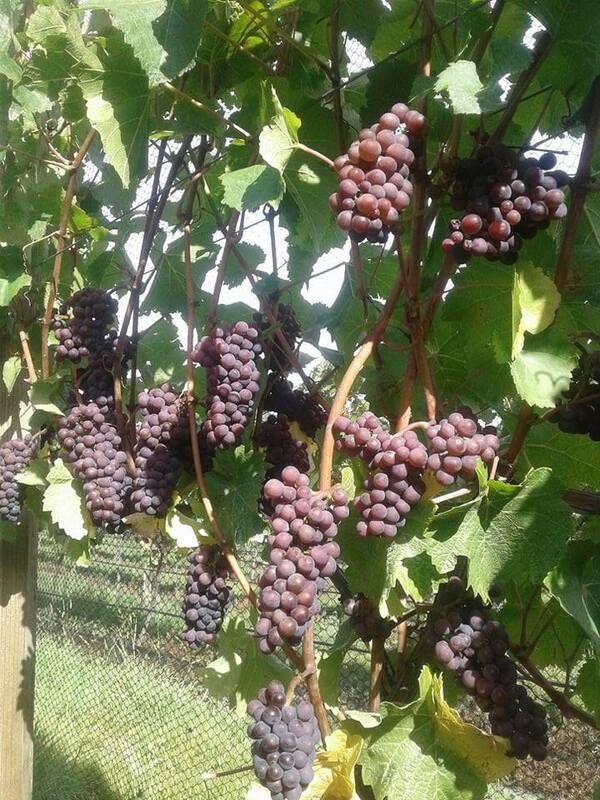 Next up came the Pinot Gris - big bunches and great looking fruit. This is clone 457. 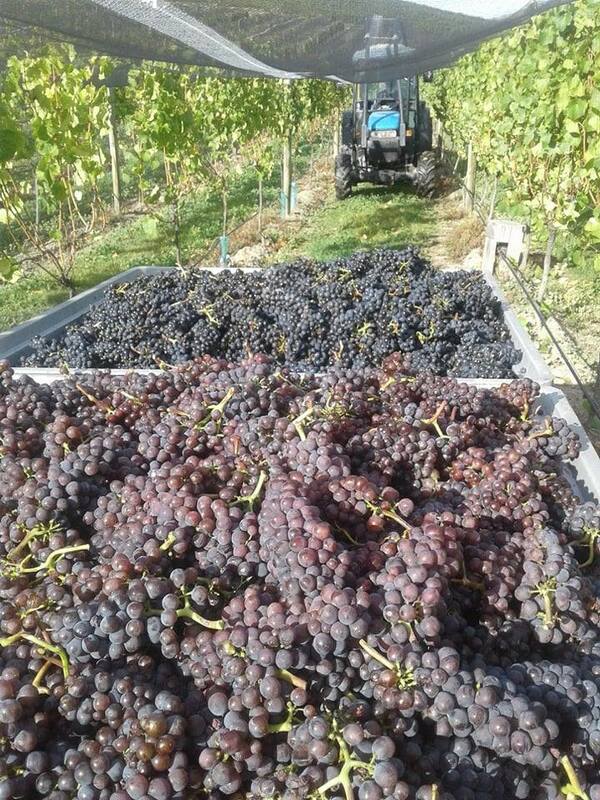 Out of the Pinot Noir, clone 113 finished, and into the Pinot Gris. Pinot Gris with a touch of Pinot Blanc. This is not as unusual as you might think. 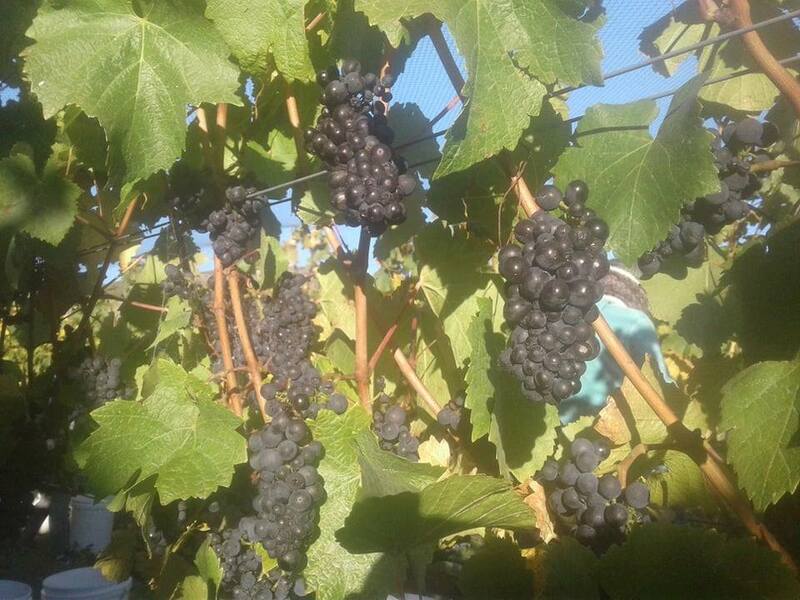 Pinot Noir can be particularly prone to mutation and thanks to its long history in cultivation there are hundreds of different clones in vineyards around the world. 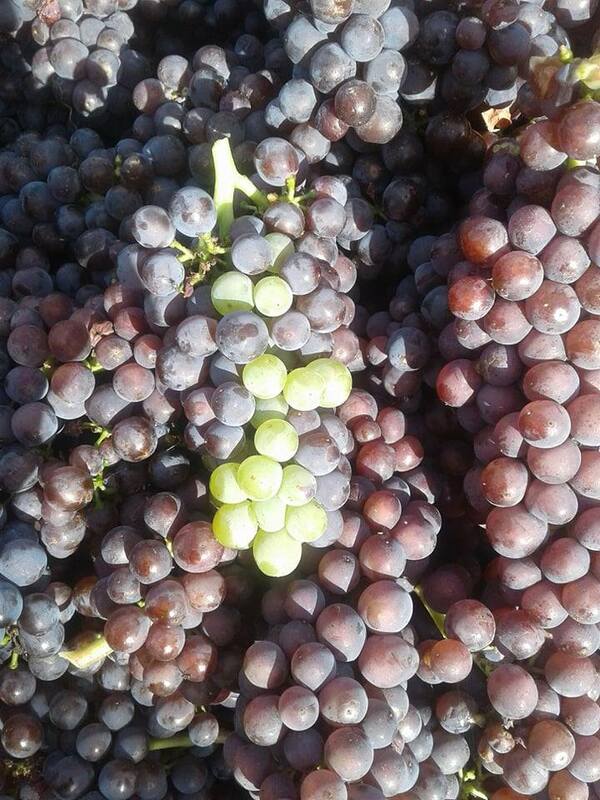 Both Pinot Gris and Pinot Blanc result from mutated Pinot Noir grapes. 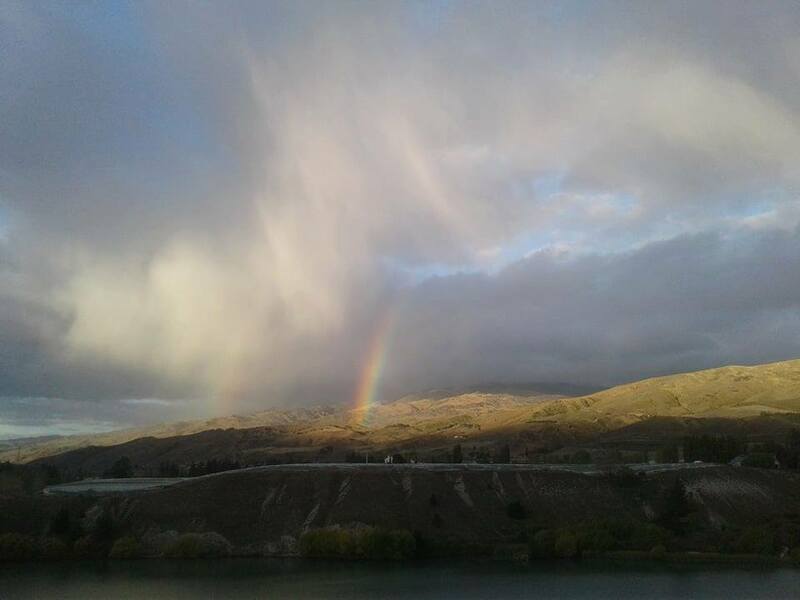 Pinot Gris is a Pinot Noir skin around cells that have mutated to Pinot Blanc, so it doesn't have the dark colour of Pinot Noir but neither is it the greenish white of Pinot Blanc instead it is something in between - more of a ruby red. You can find vines with aberrant bunches, split bunches and even berries that are 50:50!!! 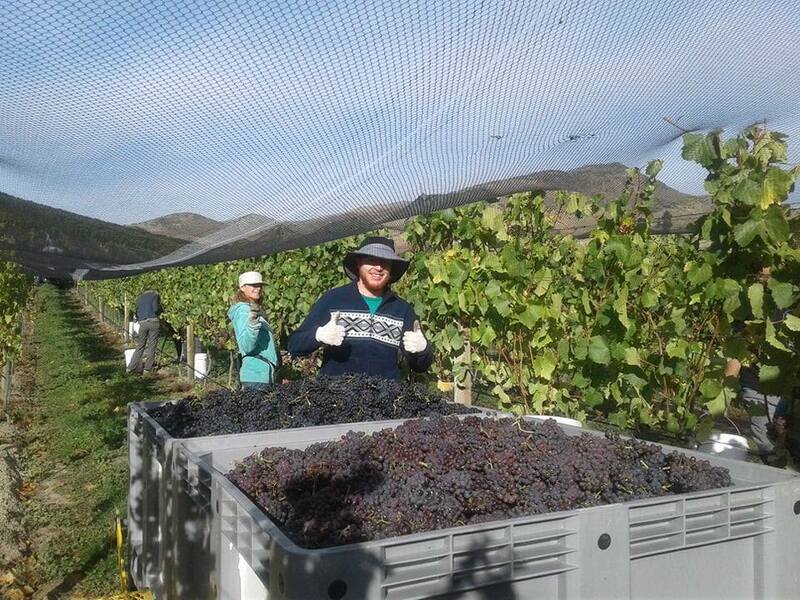 Colin and Valeriane - giving the thumbs up to a good days picking!! 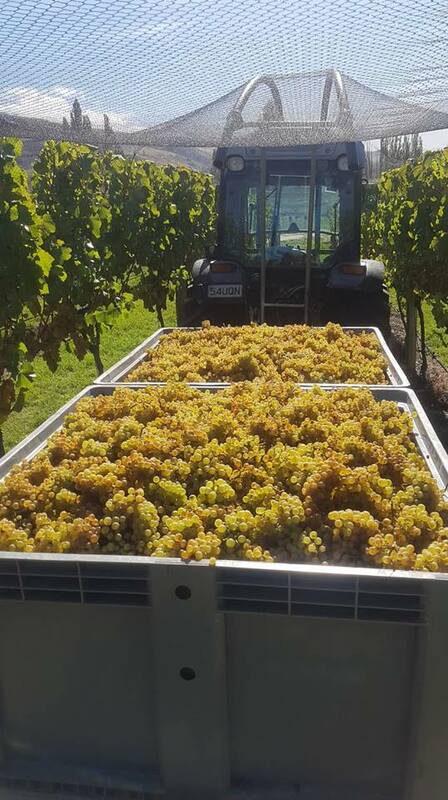 Almost there - the Chardonnay - clone 548, this is a clone that helps us produce full bodied wines with great aromas. Fiona, our Vineyard Manager, is looking happy. 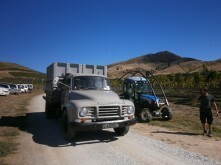 Possibly because we have almost finished picking Defiance, and have had a week of good weather in which to do it. It could of course be the quality of the fruit that is being picked! 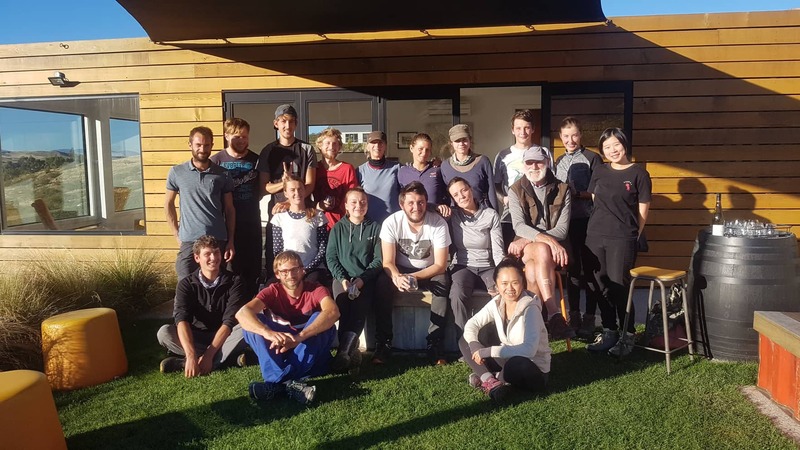 A job well done - the team outside the Cellar Door on Defiance - enjoying a well earned wine in the sunshine!! Thanks everyone!!! 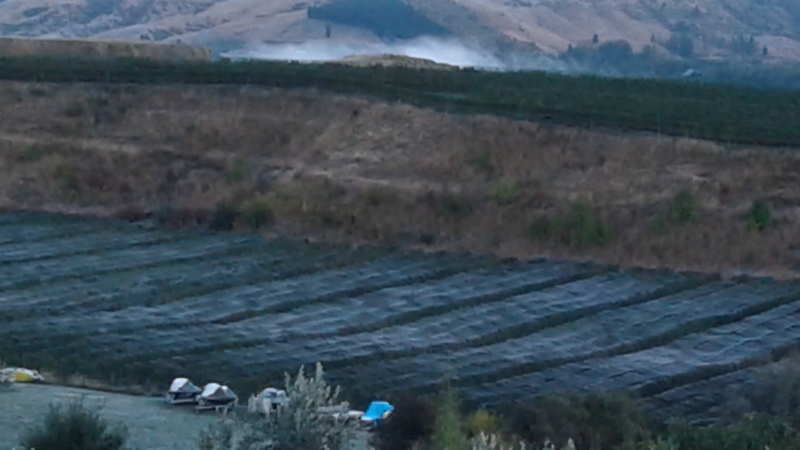 and the next morning...Frost on nets at Domain Road Vineyard - where the team will be heading this coming week. They will be pleased that they were not picking here this morning! !